We are dedicatedly engaged in offering a commendable range of AC Condenser. Use: Installed in AC for cooling purpose. We are dedicatedly engaged in offering a commendable range of AC Condenser. Use: Installed in AC for cooling purpose. Features: Long functional life Perfect design High strength 1.0 ton condenser single row: We offer wide array of A/C Condensers, which is resistant to flooding and can be used interchangeably with high capacity models. These condensers are exclusively used in various industries for the purpose of efficient air cooling. Further, our customers can avail customization on the range of products as per their specific requirements. 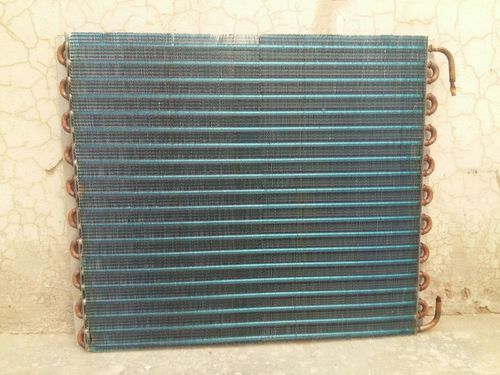 We “Mustang Heat Exchangers”, founded in the year 2012 are a prominent Sole Proprietorship company that is betrothed in manufacturing and supplying a wide range of Cooling Coil, Panel AC Coil, Heating Coils, AHU Coils and Cooling Condenser. We have developed a capacious infrastructural unit which is located at Faridabad (Haryana, India) and enables us to provide the best class coils and condensers to the clients in a predefined time period. Under the headship of our Proprietor “Pt. Jay Prakash”, we have achieved a dynamic position in this sector. Due to his dedication and positive efforts, we are able to gain the confidence of our valued clients.